Last month's Pot of Gold is still open until the 4th! Be sure to finish your tasks before it's too late! You can earn up to a total of 60 cards and 9 crayons for completing the tasks for this month! Completing all the tasks will earn you an additional 10 random cards, 1 random crayon and a GRAND PRIZE! You must present your coupon when claiming these prizes! Also, make sure to keep track of how many times you've used it. You have until November 1st at 12:01 PM GMT to complete these tasks. Good luck! The objective of the Pot of Gold is to complete different "tasks" that will be different every month. You'll get small rewards for completing them individually, but receive bonuses if you manage to complete all of them. How much of the rainbow can you complete? This Month's Theme is Get Backers. You can earn up to a total of 60 cards and 6 crayons for completing the tasks for this month! You must present your coupon when collecting! Also, make sure to keep track of how many times you've used it. You have until August 5th at 12:01PM GMT to complete these tasks. Good luck! Sorry for the delay with posting this! This month's PoG theme is Queen's Blade: Grimoire! You can earn up to a total of 55 cards and 7 crayons for completing the tasks for this month! You have until July 5th at 12:01PM GMT to complete these tasks. Good luck! Congratulations to the winners of last month's round! This month, to celebrate Vinland Saga *finally* getting an anime, we are off an a Viking adventure! Sorry for the delay with posting this! This month's PoG theme is Fate/Apocrypha! You have until April 8th at 12:01PM CET to complete these tasks. Good luck! 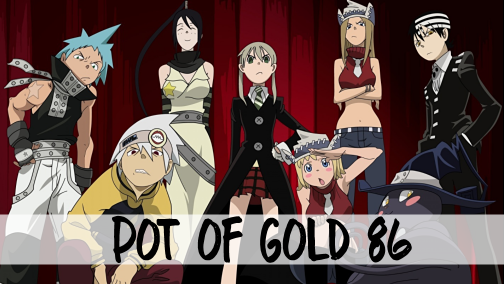 Congrats to the winners of Novembers's Pot of Gold! 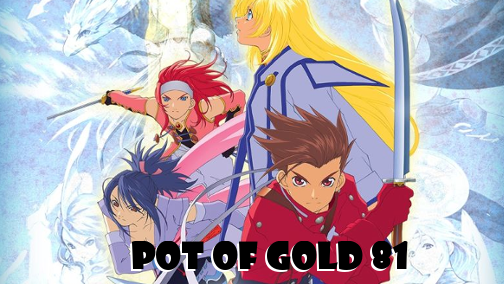 The theme of this month's Pot of Gold is Yu-Gi-Oh! ARC-V!! The object of the Pot of Gold is to complete different 'tasks' that will be different every month. You'll get small rewards for completing them individually, but receive bonuses if you manage to complete all of them. How much of the rainbow can you complete? You can earn up to a total of 58 cards and 8 crayons for completing the tasks for this month. Completing all the tasks will earn you an additional 10 random cards, 3 random crayons and the GRAND PRIZE! You must present your coupon when collecting the reward on it. Also, make sure to keep track of how many times you've used it. You have until February 1st at 12:01PM GMT to complete these tasks. Good luck!! Congratulations to the winners of last month's round! This month, we are moving away from all the spooky places and going to DO THE IMPOSSIBLE AND SEE THE INVISIBLE!! It's time for another blast from the past from me. 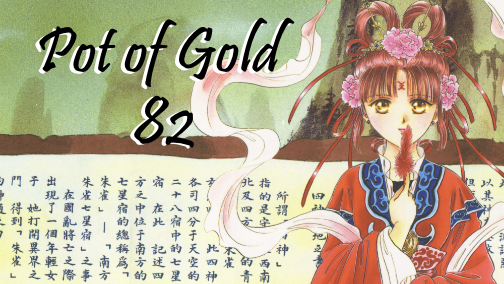 This month's Pot of Gold theme will be Fushigi Yuugi! You have until October 1st at 12:01AM GMT to complete these tasks. Good luck!! You have until August 1st at 12:01PM EST to complete these tasks. Good luck! It's time for a long due blast from the past. 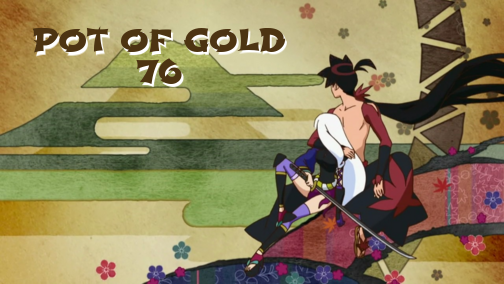 Today we're going to visit the village of Konohagakure, a shinobi village hidden in the leaves. 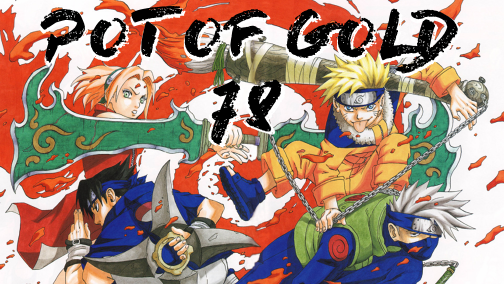 This month's Pot of Gold theme is, of course, Naruto! You have until June 1st at 12:01AM GMT to complete these tasks. Good luck!! Congrats to the winners of last month's Pot of Gold! Now that we've journeyed into the past, it's time to visit a realm in the sky - the Phantagrande Skydom! We will be flying aboard the Grancypher along with a lively crew of adventurers. You can earn up to a total of 50 cards and 6 crayons for completing the tasks for this month. Completing all the tasks will earn you an additional 10 random cards, 4 random crayons and the GRAND PRIZE! You have until May 1st at 12:01PM GMT to complete these tasks. Good luck!! You have until April 1st at 12:01AM GMT to complete these tasks. Good luck!! Happy new year, everybody! 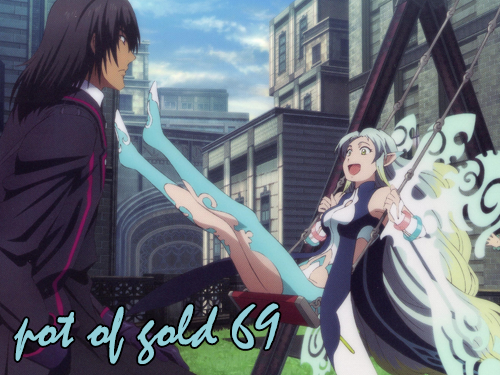 We'll be spending January with a group of lovely girls - the idols of 346 Production! Certainly, a relaxing getaway after all that murdergaming last month. Was fighting monsters fun for you? Well then, how about we chill out a bit with -oh wait it's yet another mothertrucking killing game... with bad translation this time! You can earn up to a total of 52 cards and 6 crayons for completing the tasks for this month. You have until January 1st at 12:01PM GMT to complete these tasks. Good luck!! Now that the spoopy month and Halloween are over, we'll be traveling a couple of decades into the future to meet some special warriors! Don't worry, you don't have to fight giant monsters (but I'm not stopping you if you want to try), it's downtime that we're spending with them. You have until December 1st at 12:01PM GMT to complete these tasks. Good luck!! Congrats to the winners of last month! 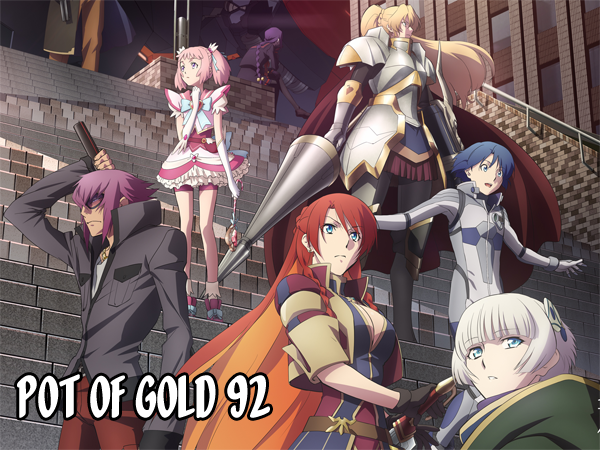 The previous Pot of Gold went swimmingly and this month, since everyone's busy with Colors Fantasy Quest already, a mini Pot of Gold is on its way! You have until September 1st at 12:01PM CET to complete these tasks. Good luck!